Rosemary Mundhenk was a professor of English at Lehigh from 1973 to until she retired in 2009. Her expertise was 19th-century English Literature, especially George Eliot and Charles Dickens, about whom she often lectured on and wrote. 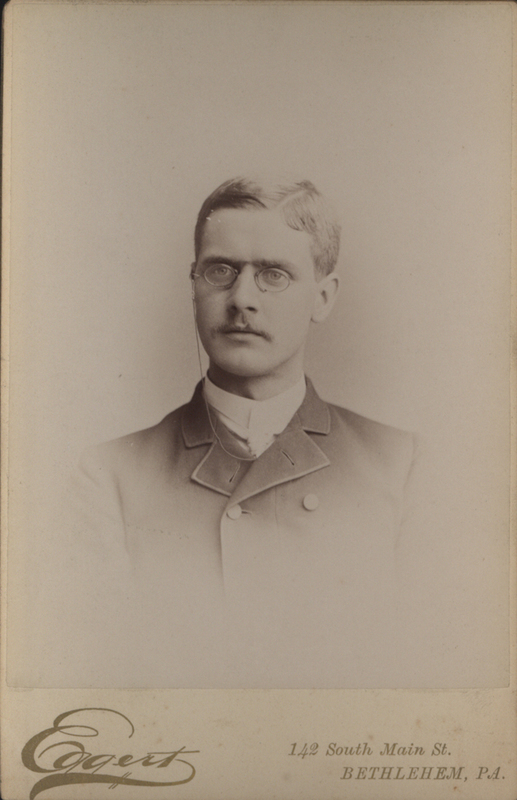 Mundhenk advised many graduate students on their theses and dissertations. Some of the Dickens-related examples are displayed here. February 5, 2008, The Brown and White article about Mundhenk’s appointment as the ombudsperson. Rosemary Mundhenk. Dickens’ Manipulation of the Reader in David Copperfield. The College English Association Critic. Volume 48, Issue 1, 1985. Kyle Babcox. Borderlands of Insanity in Dickens, Trollope, and Braddon. 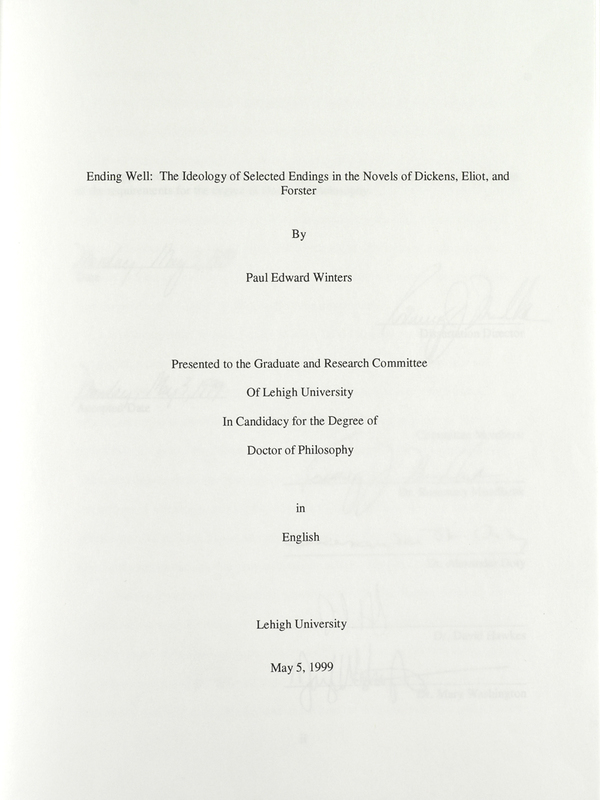 Ph.D. dissertation, Lehigh University, 2004. Paul Edward Winters. Ending Well: The Ideology of Selected Endings in the Novels of Dickens, Eliot, and Forster. 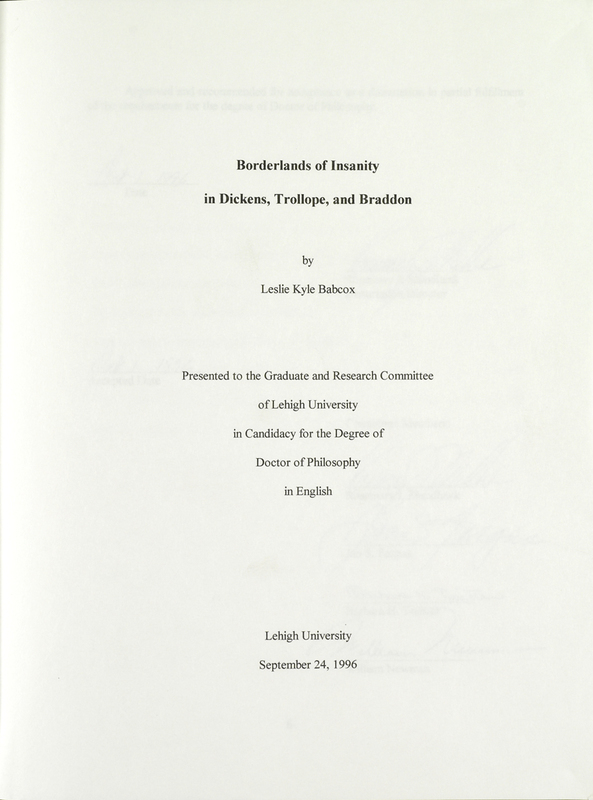 Ph.D. dissertation, Lehigh University, 1999. William Patterson Taylor. Dickens as a Social and Moral Reformer. 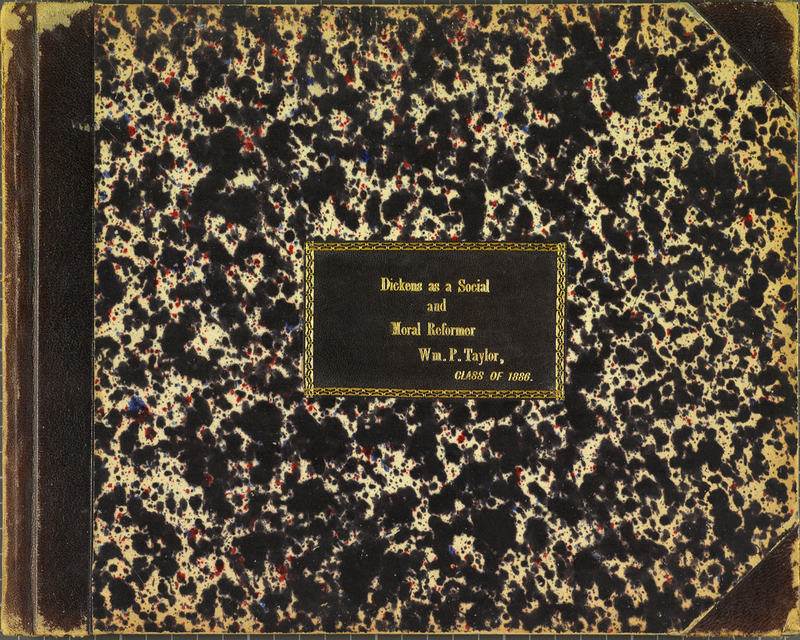 Senior thesis, Lehigh University, 1886. 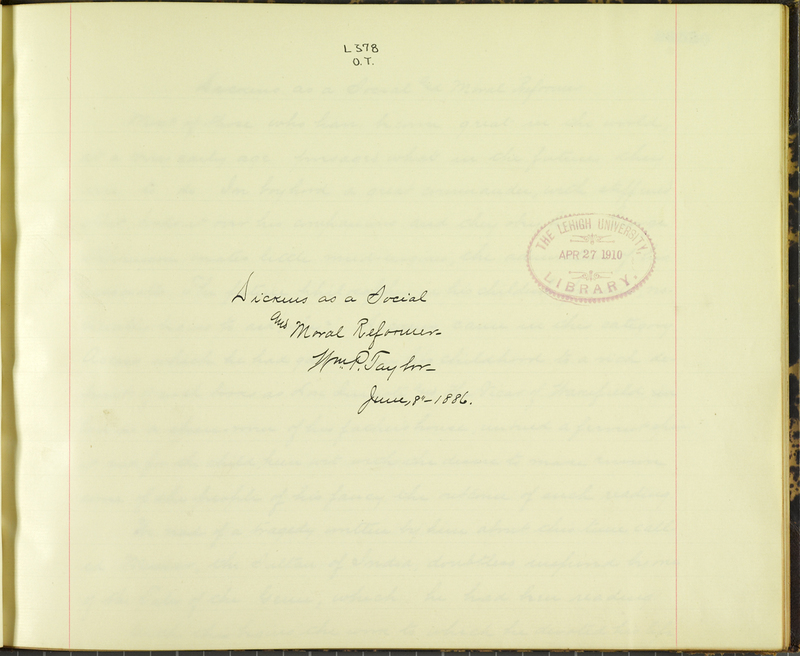 Until the 1920s, Lehigh University students were required write a senior thesis in order to graduate and obtain a degree. Displayed here is one of the early examples of a bachelor’s theses on Charles Dickens whose author earned a degree in General Literature.